An MOT can uncover all sorts of things that a car owner would rather have not known, but these rarely come in reptilian form. Unfortunately, that was the case for one car owner after they took their Mini to St George's garage in Margate for a service and the mechanic found a snake living under the bonnet. The car repair centre might sound like the type of establishment more accustomed to dealing with dragons than snakes, but the mechanic overcame the slithering adversary and was able to complete the job. Car garages face a magnitude of challenges and risks as they go about their day-to-day task of repairing people's vehicles. While dealing with strange animals living within the engine is one of the less common, businesses can protect themselves against most of the others by obtaining a combined motor trade insurance policy that will offer cover against theft or damage for the cars, tools and spare parts on the premises, as well as the building itself. Speaking to the Thanet Gazette, mechanic Dan Killick, who was doing the routine check of the car, said: "The snake was just on the airbox. It gave me a shock and made me step back. I have not seen anything like that before in my 12 years of being a mechanic. 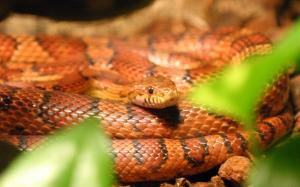 We have had mice nests but never a snake." He explained that the snake was put in a box and later taken home by one of the other mechanics who already has a snake of his own. The reptile in question is believed to have been a corn snake, which is a North American species of rat snake that are found throughout the southeastern and central America. Their docile nature, reluctance to bite and size of between four and six feet make them popular pets.